Look up... Yes folks the WONDERFUL people at Build a Sign HERE love the Tall Mom 1,000+++ club and are giving each of you Clubbers a Bumper Sticker..
Last night I went to the Fleet Feet Christmas Party at Tammy's and did not take any pictures... OOPS! Muscle Man made an awesome Shrimp quiche for me to take along with our family homemade fudge.. YUMMERS!! It is fun to see all my running buddies looking clean and with makeup. It is hard to believe that this time last year I did not know these amazing women..
2009- Our attempt at a family photo, we almost made it..
2008- Both boys smiling?? WOW!! 2007- Little Stud #2 was born Jan 2008 so I was pretty BIG and about to pop at this point..
Do you have an annual tradition? If so do you take a photo every year? I think it is FUN to look back at the photos from the same time every year and see the difference, how our family has grown (or shrunk in my case). 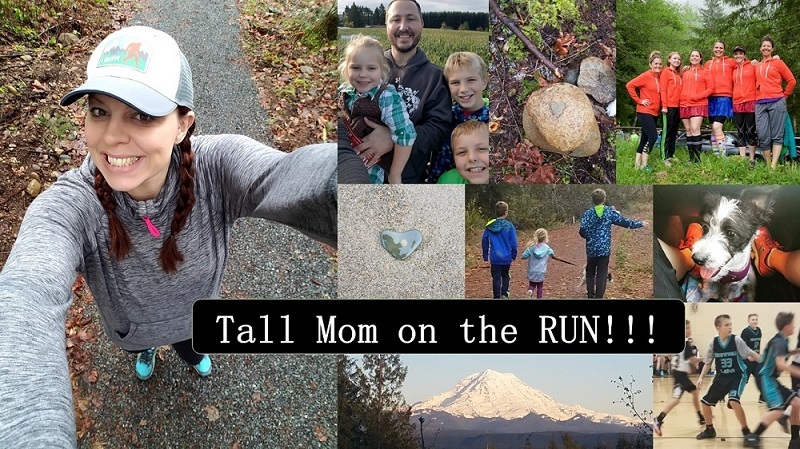 If you don't have a tradition, start one this year.. Be it a race as a family, hike in the woods, or decorating the tree, photos are a great way to capture wonderful memories!! Yes - ten days!!! Holy cow!!! I am NOT ready! Great pics! I love looking back at pics/traditions of years past! We do pics of the kids in Christmas pj's in front of our tree once it goes up. And one of those pics usually makes the front of the Christmas card. OH my gosh, so cute! My husband and I haven't really started any traditions, at least not photo worthy. Maybe this will be the year! We picked our tree out last night from a stand on the sidewalk and brought it home on the bus! I did get a picture of that! I can't tell you the number of things I did while "wearing" Shoo. Funny how you figure it out, especially while chasing a 4+ year old. Oh wow, 10 days! I didn't even think of that today. I'm excited! Great photos... I need a tradition like this, WITH PHOTOS. I would prefer NOT to include house painting in my annual traditions. I LOVE this! I may actually steal this idea although I have much less pictures! Our first "family" pic with our tree has me and my enormous self...our daughter's birthday is Dec 19th! 10 days....yikes!!! So not ready this year!! OMG. This reminds me...I should post our Santa photo. It's hilarious. Those pictures are all awesome! What a great tradition! What a beautiful family you have! I love your pictures. 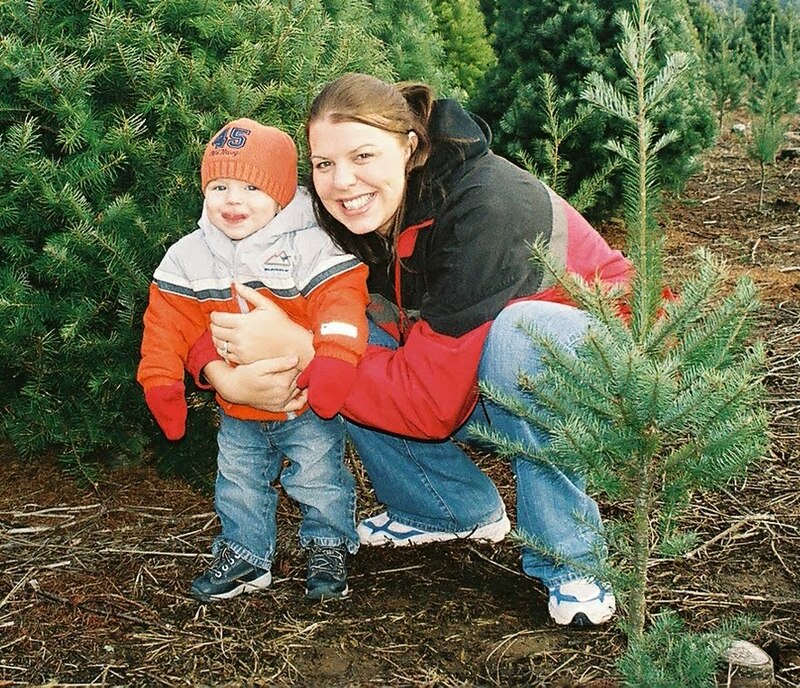 I sure miss going to the tree farm. 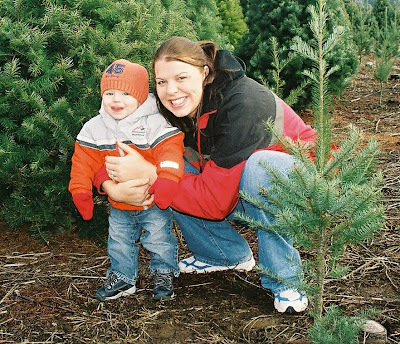 Growing up in Oregon, my family went to cut our tree every year on a farm with a train. Here in Southern California, trees are pretty much all on lots.